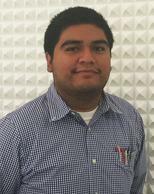 Luis is a very versatile employee at Kluger Architects. He is an intern, but also helps with the administrative duties, drafting and design, and much more. He has learned very quickly about what it takes to work at an architecture firm and hopes to continue to move up the rankings at Kluger Architects.